s your breakfast leaving you hungry? 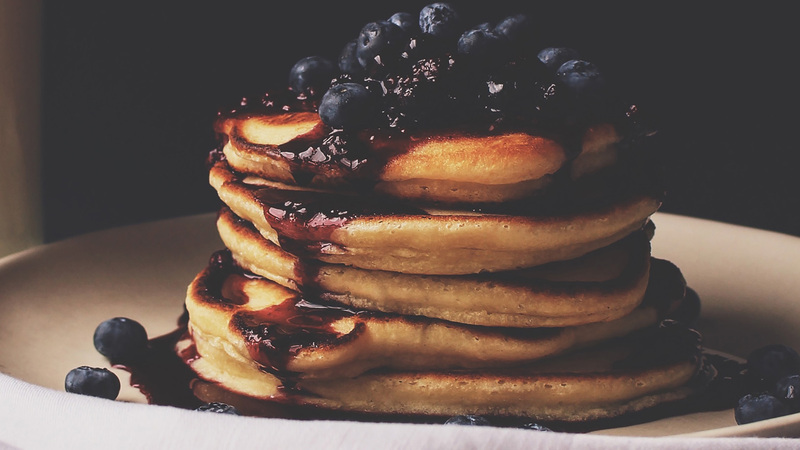 Here are 5 high protein breakfast recipes to fuel you up before you tap it back! When it comes to choosing the perfect breakfast, make sure there’s a decent dose of protein on your plate. New research published in the Journal of Nutrition shows that people who eat 30 grams of protein in the morning boost muscle protein synthesis by 30% compared to those who stick with a traditional carb-rich, lower protein meal. What this means: Fueling up on protein helps you repair muscles more quickly, so your metabolism stays stoked and you’re less apt to get sidelined by injury. As if that’s not enough, having a protein-packed breakfast can also help control cravings: A study published in the European Journal of Nutrition revealed that people who ate eggs and toast at breakfast consumed 331 fewer calories throughout the day than on days when they had breakfasts with the same calorie count but were either high carb (cereal, milk and toast) or high fat (croissants). To boost your endurance and stay satisfied longer, try switching to breakfasts that provide 20-30 grams of protein to enhance feelings of fullness and ensure that you have amino acids at the ready to help build and retain lean muscle mass. Here are five protein-rich breakfasts that can help you feel fuller longer. Each has around 25 grams of protein and no more than 400 calories. 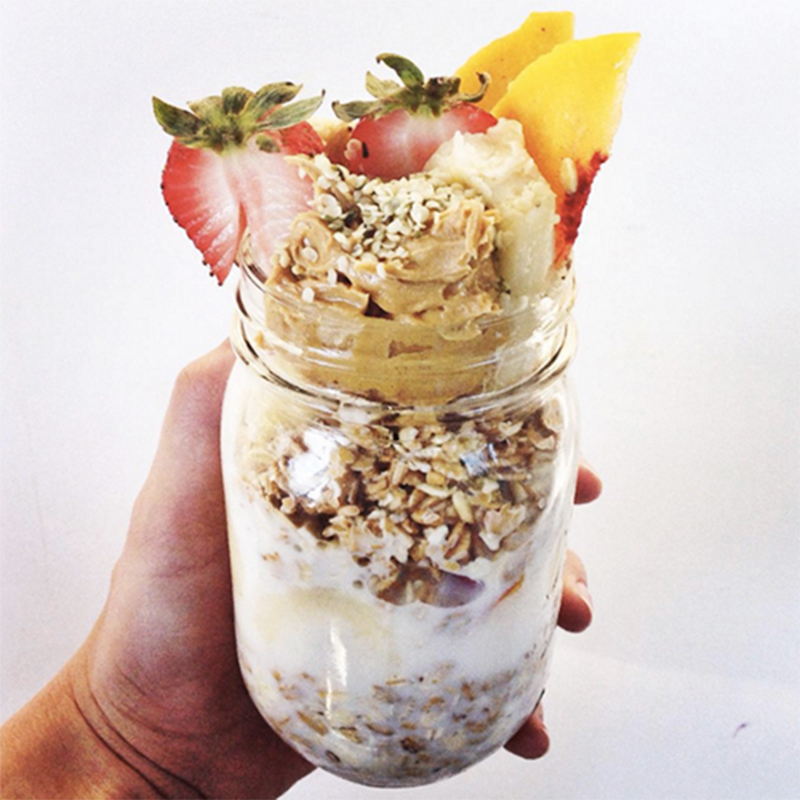 Layer fruit, yogurt, oats and honey in a jar. Enjoy immediately or cover and refrigerate overnight. While scrambling eggs, add chopped spinach, chopped bell pepper and salsa. Toss in chopped bacon. Serve in 1 small (6-inch) corn or whole grain tortilla with at least 5 grams protein. Mash the banana, add the egg and mix well. Stir in nut butter and any spices or extract. Heat a nonstick skillet on medium heat and use some oil or nonstick cooking spray to ensure the pancakes don’t stick. Pour a large spoonful of batter into hot pan and cook until browned on one side (3 minutes or more), then flip and brown the other. Makes 2 large or 4-5 silver-dollar pancakes. Optional: Top pancakes with yogurt, fruit and nuts. Enjoy! Layer yogurt, oats, nuts and honey in a jar. Enjoy immediately or close and refrigerate overnight. In a blender, combine skim milk with 8 oz nonfat or low-fat plain Greek yogurt and 1 cup fresh or frozen berries (or 1 medium banana) and 1 Tbs honey. Blend until desired consistency. Add ice cubes, if needed. Julie Upton, MS, RD, CSSD attended the University of Michigan and received a Bachelor of Science degree in Nutrition from Michigan State University. She completed her dietetic internship at Beth Israel Deaconess Medical Center, a Harvard Medical School teaching hospital. She holds a Master of Science Degree in Nutrition Communications from Boston University. For more info and recipes from Appetite for Health, click HERE. Questions or comments? Email blog@soul-cycle.com! Want to ride? To book a bike, grab a series HERE then book a bike!